– Timothy Tays, our September Blue Collar Runner of the Month, writing in his book Wannabe Distance God on how many of us want the guy who tries the hardest to win, when often that isn’t the case. Daniel Komen's 7:20 WR will last 3 more decades at least. Katie Ledecky has already qualified for Olympic Trials in 2 men's events - could any tracksters do that in USA? 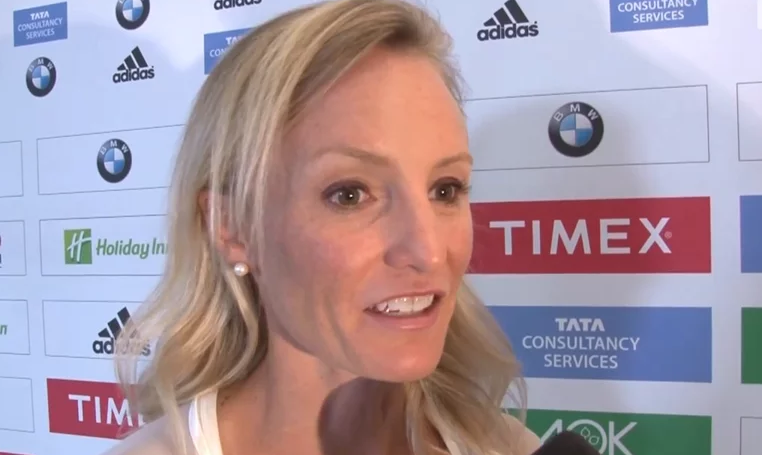 Shalane Flanagan has said that her only goal is to break Kastor's record on Sunday and that everything else -- including winning the race -- is secondary to that. 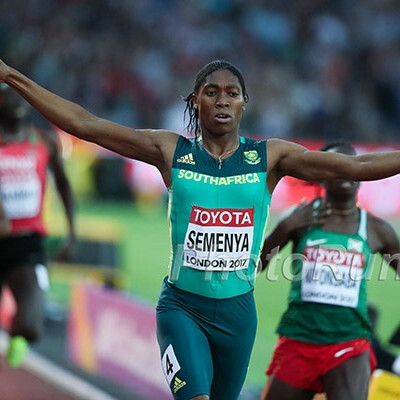 She has a good shot at her first major victory but will have company in the form of 2:21 women Feyse Tadese (Paris CR holder) and Tirfi Tsegaye (Tokyo CR holder, won Dubai in 2013). LRC 2014 NCAA Cross-Country LRC Pre-Season Fan Polls: Colorado Men And Michigan Women #1 NCAA meets actually mean something starting this weekend and as a result we’re releasing the LRC Nation fan polls with national top 10 and conference rankings. Eugene’s Bid for 2019 World Outdoor Track & Field Championships Will Be Official Today We applaud Eugene for dreaming big even if we don’t think they should be selected for Worlds in 2019. Vin Lananna gets sh** done. 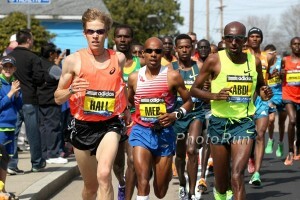 2015 Boston Marathon Qualifier Acceptances Released – You Had To Run 1 Min. 2 Seconds Faster Than Qualifier To Get In Of course all LRCers made it with ease, being much faster than the qualifying time. 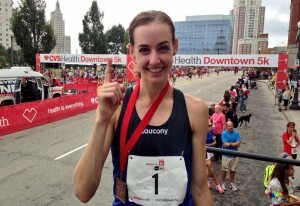 Defending Champs Molly Huddle And Aaron Braun Return To .US National 12K Champs In November $100,000 will be on the line. 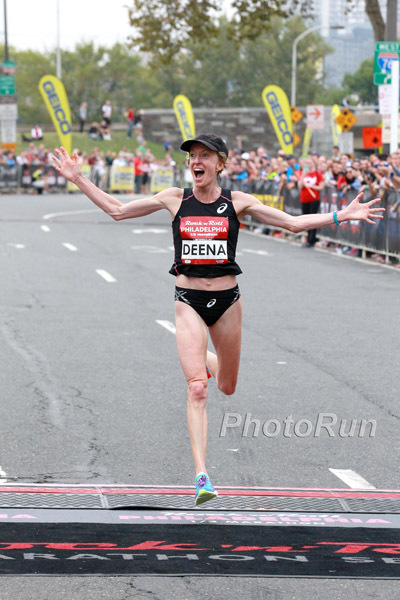 41-year-old Deena Kastor broke the master's world record at the half marathon, German Fernandez is back ran well, Paula Radcliffe is back racing, and so is Andrew Wheating. Plus, some coaching advice from Caleb Ndiku and news on a new star in the American high school ranks. Eritrean World Junior Team Member Weini Kelati Now Running For High School Team In Virginia Kelati represented Eritrea this summer, placing 8th in the 3,000 at WJs, but has now moved to the US to live with her cousin, a former Foot Locker finalist. She ran and won her first high school XC race this past weekend. Recommended Read: Boulder Track Club’s Laura Thweatt “Is The Best Runner You Only Sort Of Know” Learn about the runner who went from never making NCAAs in college to running 15:04 and becoming one of the best 5K women in the US. 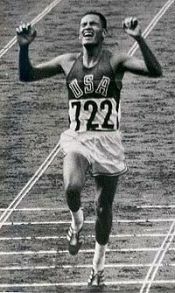 Great Interview With The US’s First And Only Olympic 10,000 Gold Medalist Billy Mills Read about the life/career of Mills, who talks about the shock of winning Olympic gold in 1964, setting the 6 mile WR, racing against Gerry Lindgren, his friendship with Mohammed Gammoudi and more. Kenyans John Kyalo Kyui (2:14:50) And Purity Kimetto (2:38:53) Win Siberian Marathon In Cold Conditions The #4 fastest 10Ker ever, Nicholas Kemboi, was outside the reported top 5 (slower than 2:30), so likely a DNF. 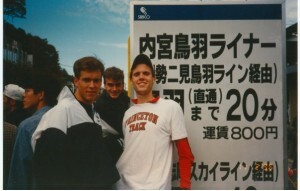 LRC Wannabe Distance God Book Review And Blue Collar Runner Of The Month #2 Unless you ran in the Big 8 Conference in the early 1980s, you’ve probably never heard of Timothy Tays. His book, Wannabe Distance God, explains what it was like for him to run under the legendary Bob Timmons (Jim Ryun‘s coach) at Kansas and how he (like many LRCers, we suspect) struggled to come to terms with the fact that he was never going to be one of the world’s elite. Tays’ story is compelling and his passion for the sport and desire for greatness make him our September Blue Collar Runner of the Month. 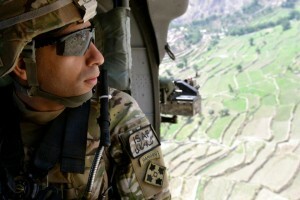 Previous BCRM: A Real Running Hero: The Flo Groberg Story Former Maryland track and field and cross-country runner Flo Groberg helped thwart a suicide bomb attack in Afghanistan. This is his story. 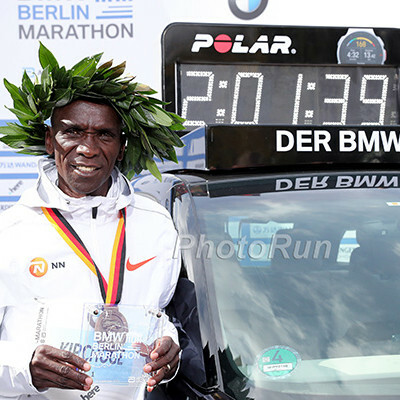 Chance Encounter With Geoffrey Mutai Helped Take Dennis Kimetto To The Top Of Tthe Marathon World Last year’s Tokyo and Chicago course record holder is running Berlin this weekend. 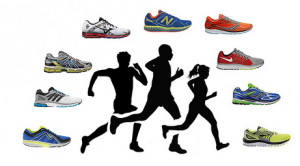 Runner’s World Guide To Fall 2014’s Top Marathoners They take a look at the top pros and where they are running. Arkansas’ Dominique Scott And UMass Lowell’s Robert Allen Are DI XC Athletes Of The Week Scott won the Missouri Southern Stampede by 26 seconds while Allen won Iona’s Brother Doyle Meet of Champions at VCP in 25:32, beating a field that included NCAA steeple runner-up Stanley Kebenei. Weekend NCAA XC Recap: How Did The Top Ranked Teams Do? 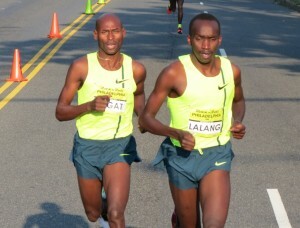 One of the highlights was Michigan men/women sweeping the Big 10 Preview meet. 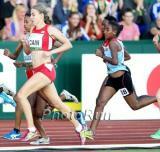 RRW Deena Kastor Sets Masters World Record Of 69:36, Aberu Kebede Wins In 68:39 Kara Goucher also returned to racing. RRW Beddan Karoki Wins Rock ‘N’ Roll Philly In 59:21 – Fastest Time In US This Year The race was also the 13.1 debut for Dejen Gebremeskel. Yohan Blake Buys House In Need Of Repairs From Jamaican Govt. For $461,000 That’s more than $52 million in the Jamaican currency. Boulder Marathon Race Director Being Accused Of Fraud Runners say he failed to secure permits for the event, but used last year’s floods as an excuse to cancel the race which was supposed to be in two weeks. Kona Underpants Run Organizers Going For World Record The race is the Thursday before the Kona Ironman. 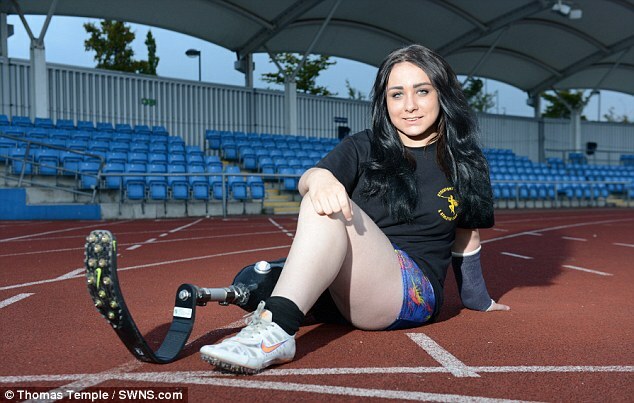 Everyone wears underpants, although women can wear a sports bra. 1980 Olympic 100m Champion Allan Wells Helped Inspire Lynsey Sharp’s Commonwealth Games Silver Medal Sharp’s dad was a sprinter with Wells back in the day. CNN: Christian Taylor Triple Jump Champ Profile The dude is a stud, great at the triple, long jump and not bad at 400. Rosa Twins Thrilled With Summer Training, Hoping For Big Season For Stanford At NCAA Cross The twins also admit it’s a bit awkward that they are good friends with Edward Cheserek due to their NJ ties. 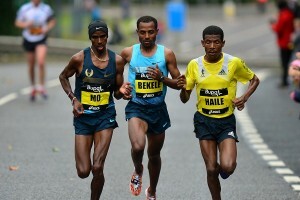 Great Q&A With WMM Leader Tsegaye Kebede, Who Is Running Berlin: “I get home from somewhere, I eat, I rest, then I train. There are no distractions. I have no vices.” He also says Kenenisa can get the WR in Chicago. *Bolt Still Dreaming Big, Says With “Perfect Season” He Will definitely have the chance to break the 100m world record.” His big goal is a sub 19 200m. RRW: Molly Huddle Earns Fourth USA 5-K Title In 15:10; Diego Estrada Wins Emotional First National Title (13:56) Huddle won by 15 seconds over Jordan Hasay in second; Mary Cain was back in 6th (15:53). Estrada won in a kick over German Fernandez (13:57.0) and Maverick Darling (13:57.5). Matt Centrowitz was 7th in 14:03.2.